A little bit about my journey in understanding how Covenant Theology is the overwhelming these of God’s Redemptive plan, and how God sanctified me further. A Baptist turns to be a theologian of Covenant Theology. How could such a thing happen? In the latter years of Augustine’s life, after sifting through his literary works as a whole, in book 2 of his Anti-Pelagian Works, we find him writing down a number of “retractions.” What are retractions? Augustine revisited certain topics on which he had previously written, and much to his dismay, there was much that he knew he had written in error. In desiring to be as biblical as he could, he mentioned the errors in a “retraction” of their validity and then explained what his position had become. He recanted of what he had written, and then revisited the topic under a more thoroughly biblical view. For instance, he withdrew his ideas concerning the Platonic view of the pre-existence of the soul to accept a biblical view. This was quite honorable for Augustine to do so in keeping with being a faithful steward of God’s Word. Yet, at the same time, Christians can relate to Augustine’s retractions as a whole. In other words, as Christian’s grow in grace, they are weaned away from poor theology and receive that which the Spirit of God lavishes upon them during their faithful study. I have read much of Augustine. I was moved by his retractions because in his day and age it was hard to make statements as one in the lime-light, and then retract. It is amazing how we, now, can read his works and see his humility in his move from error to the truth. Retractions are difficult. I can personally relate on how it is very difficult to make a retraction. How would you feel if after fifteen years of believing something, and contending for something, (something you thought was the absolute truth) that you found it was biblically inconsistent? What if you had taught “wrong doctrine” for fifteen years and causes other to believe it, and then found you were wrong? Retractions are not easy to deal with. Even the great Martin Luther stuttered a moment when the King demanded he retract his writings and recant at the Diet of Worms in 1521. Contrary to popular belief, Luther did not shake his fist in the wind and stand his ground – rather, he asked for more time to think about it. In the end he made the right choice, but it certainly was not without difficulty and sacrifice. Retractions are difficult. I have a retraction of my own to declare. This retraction is a very difficult retraction to make since it affects my entire theological outlook concerning covenant theology, the bible and covenant signs. It is also a very complicated one to make in light of all the positive email response I have had to “God’s glory” in dealing with this issue faithfully from the Dispensational and Baptistic point of view. For those who have agreed with me on this issue in the past, you will need to be patient with me, because you are going to violently disagree with me. You will shake your head, maybe even your fist, or even maybe weep. I have moved, in aligning my thoughts with the faithful of the historical church, to what I believe is a more consistently biblically view of the bible as a whole. This retraction will be difficult for “faithful friends” to believe. I have vehemently debated many Presbyterian and Reformed brethren on the issue of Paedobaptism, or Infant Baptism, and how I thought I was being covenantally faithful. I have written against them on countless occasions in hundreds of emails, and have published 14 articles on the web demonstrating the “utter folly” of that “pernicious error of Paedobaptism;” or as the Baptist RBC Howell states, the “evils” of that error. Even at that point, I was not through, for I had another 8 articles to publish on the subject. I also had in mind to systematically destroy Turretin’s “illogical arguments” in his third volume of Elenctic Theology, as well as silencing Calvin’s barking in his Institutes on the subject, book 4, chapter 16. I had read all the major works written by faithful Baptist ministers and I knew my position well. As it stands right now, I may honestly say that I know the Baptist arguments inside out and backwards as I have understood them for 15 years. I know the exegetical ideologies. I know the hermeneutic behind the debates. And not only this, but in my desire to be firmly acquainted with the “deviant view,” I had faithfully read and reread the best divines of the past who held to Infant Baptism: Turretin, Ames, Dabney, Hodge, Calvin, Berkhof, Edwards, Owen, Perkins, Love, and the like. I had attended a Presbyterian Seminary and knew all of the arguments from a contemporary view. I listened attentively to such teachers as Sinclair Ferguson, RC Sproul, John Gerstner, J.I. Packer, Reggie Kidd, and Richard Pratt on this subject in their own classrooms during my seminary years. I was as sure as the day was long that I was biblically sound and exegetically solid in my defense of credo-baptism, or believer’s baptism, alone. I attempted to be as biblically careful as I could, since, I could not allow myself to be wrong on such a vital issue where so many great preachers and teachers in the history of the church believed such a doctrine. In other words, I knew church history. I knew that as an honest Baptist, I had to admit that for over 1600 years, since Christ, the church had theology wrong. Their ecclesiology and redemptive theology was simply mistaken, and on key point, the Baptists finally got it right. Yes, not until 1689 (the 1689 Baptist Confession of Faith) the Baptists set the record straight though all of the predecessors had their ideas about entrance into the church, and the manner of God in dealing with covenant families was just plain wrong. No one had it right until “we Baptists” came to town. Was that arrogant of me? Yes. And Historically impossible to prove, but it was the logical outcome of my adherence to “credo-baptism”. Though the greatest minds through the history of Christendom differed with me, I had to stand on the bible. I could not allow my desire to be aligned with great men be a temptation to me (who would not want to be associated with them?). I had to be sure I was right, and I honestly thought I was. I truly believed that Covenant Theology and that wicked practice of infant baptism was a great evil, and I said so with a brutal confidence. But in all this, I was in error. I have retracted and recanted the “Baptist” position against Covenant Theology and Infant Baptism. There are good and valid reasons why this is so. It is not that I went looking to change my entire theological outlook on this issue from a newly renovated covenantal perspective. It was not that I was reading Owen or Edwards on the subject once again, and that sparked my thoughts. In all honesty, and with a sincere heart, I must admit that it was the Bible, and the Bible alone that changed my outlook on this. I know the next couple of paragraphs are going to be very difficult for my Baptist brethren to hear, but I must say, I have really, honesty and truly changed my position as a result of exegetical study and reflection. I thought being “Reformed” was believing in predestination, or TULIP. Well, that was a huge mistake. I wanted to be “Reformed” and so I changed the definition of “Reformed” to suit my taste. I wanted to be counted in the theological outlook of Westminster, with just a few tweaks here or there, so I fell into the same trap that “Reformed Baptists” fall into today – they claim the title and are not honest to admit that they cannot possibly be Reformed with holding to Reformed Theology. So instead, I redefined “Reformed” to simply mean – I believe in TULIP. Historically, this is a misnomer. It simply is historically impossible to demonstrate. Ask any Baptist where “Reformed” came from, and he’ll point you to the Synod of Dort. Little does he know it is a direct reference, written by a Lutheran, to explain the ecclesiology of Calvin’s Institutes. In other words, being Reformed meant 1) Covenant Theology, 2) Paedobaptist, 3) following Calvin’s view of the Lord’s Supper, and 4) the ecclesiology of the Institutes. In other words, Baptists simply cannot be Reformed in any sense of the word. In attempting to be as sensitive as I can to those who “followed my thoughts” on the Baptist position and thanked me for such articles, I must first tell you where this change took place. Have you ever stood “outside” yourself while you were talking and thought to yourself, “Self, why are you saying that? That does not make any sense at all?” – but then you keep right on talking? Hopefully you can identify with that. Oftentimes it is a result of a “slip of the tongue” and we say to ourselves, “OUCH! I should never have said that!” But sometimes we stand outside of ourselves and think about what we are saying while we say it. We listen to ourselves and hear the arguments afresh. It is almost as if we are arguing with ourselves to come to a specific conclusion about something. Well, in my case, this happened during a study at my home. I was teaching on the doctrine of Perseverance of the Saints. A question arose on the warning passages of the New Testament, and there I was suddenly, listening to myself answer this question which was put to me, but I knew I was not correct in my answer, though it was my standard baptistic answer. This seemingly innocent question tumbled me into an immense theological debate with myself later that night. I reread the Old Testament and New Testament passages on covenant, baptism and circumcision. I reread all the major writers again on the subject of the covenants and the covenant signs of infant baptism and baptism. Then it dawned on me, and it became clear: it was a question of my hermeneutic. Some of you long standing Congregationalists or Presbyterians reading this may be saying, “Well of course your hermeneutic is the answer!” That is all well and good to say, but to communicate it in a way in which you HELP the Baptist understand why you think he is interpreting the Bible with incorrect presuppositions is the key. Leading neophytes step by step, clearly and succinctly is how they learn. Not just blathering a host of theological ideas that fly over their head. This neophyte would have loved some step by step instructions in those days. But oftentimes, the arguments surround “Baptism” and not what they should – 1) hermeneutics, and 2) Covenant Theology. Forget baptism for a moment. Forget circumcision for a moment. Forget the last 5 minutes of the conversation. Its the preceding 5 HOURS of the Covenant Theology that needs to be straight before we ever get to the application of Covenant Theology in the covenant sign. Many times the great reformers and puritans simply “barked.” Calvin is among the best. When he is on your side you cheer him on. When he is against you, then you scowl. Well, I scowled at Calvin many times on this issue. 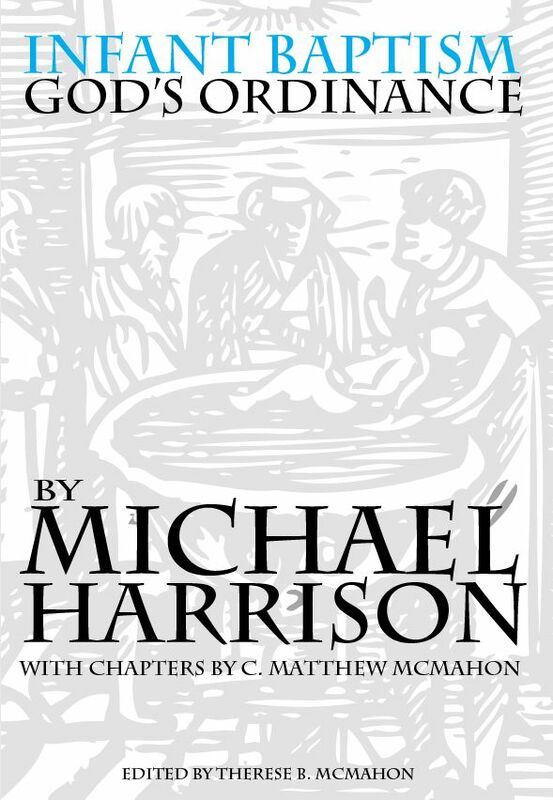 He said “…in this age, certain frenzied spirits have raised, and even now continue to raise, great disturbance in the Church on account of Paedobaptism, I cannot avoid here, by way of appendix, adding something to restrain their fury.” (Institutes, 4:19.1) You see, for someone trying to learn or understand the Scriptures, it is not always helpful to mimic Calvin here. It would be more constructive to deal with core issues rather than ad hominem arguments. On the other hand, many puritan divines will argue upon secondary issues which are not the heart of the matter. When this happened, I was always confused as to why Calvin, Owen, Reynolds, Love, Van Mastricht, Ames, Turretin, Edwards, etc., would be “so off course.” I neglected to ascertain their complete mind on the ideas behind the covenant of redemption and of grace, and was arguing against infant baptism without a proper view of those foundational ideas. Not only was I putting the cart before the horse, I was putting the stall before the horse before the cart, before the….well you get my meaning. Arguing secondary issues is not restricted to ancient writers. RC Sproul debated Alister Begg at great lengths on secondary issues at a Ligonier conference some years ago that I attended. RC never addressed why he thought Alister was wrong at the heart of his hermeneutic. He just argued with Alister about the issues surrounding the subject – baptism. He argued for familial solidarity when he should have been dealing with hermeneutics and the foundations of the Covenant of Redemption and Covenant of Grace. Why was there confusion for me as a Baptist? Why did I think that Infant Baptist was not dealing with “texts” which “proved” their case? Why did I think this way in particular? I was simply dumbfounded at the Presbyterian’s lack of exegetical prowess when it came to Infant Baptism. Why? It was the answer to this question that helped me understand why I was wrong on this issue for so long. I thought I was “Reformed” but in reality, I could not escape a form of Dispensationalism, which I now believe, is inherent in the Baptistic position, and inescapable. I abrogated certain aspects of the Old Testament’s form and substance. (It is the “and substance” which makes the difference.) The Puritans divines I love so much simply confounded the issue all the more because they continually dealt with the secondary issues of arguing specific texts, without ever taking to task my faulty hermeneutic in the first place. Now that is not to say they did not do an exemplary job at the text and its exegesis. But they never dealt with the heart of the matter at the time they were arguing their case. They should have told me to go back to understanding the Old Covenant before I tackled the New Covenant, and they should have opened my eyes to certain non-negotiable (eternal) traits of the Covenant of Grace which run historically through the entire Bible – those I thought I knew all about, but really swept under the rug. What I have to say next is critical to understand. I see four main reasons why I was a Baptist: 1) I was dispensational to in my thinking because of an abrogation of the Old Testament covenant in an extreme manner, 2) I studied the doctrine of the “covenant” from the New Testament backwards to the Old Testament (in other words, I did theology backwards), 3) I defined the “sign” of Baptism strictly as, “the outward sign of the inward work of regeneration,” and 4) I thought that the terms “salvation” and “new covenant” were coextensively the same thing. In point “1”, there is much to explain and most “Baptists” will vehemently deny this as I did (I can already hear them mumbling to themselves in consternation!). Suffice it to say that I will be addressing this in future articles (such as these: Turretin’s Views of Covenant, John Owen’s Views of Covenant, Children in the Covenant Of Grace, The Internalization of the Law Not “New”, Covenant – God, to you and your children). My “Baptistic” theology, from a covenantal perspective, was dispensational – I could not escape this to some extent even though I did not see how this could possibly be. Point “2” is more prevalent. If you attempt to understand the Bible beginning from the New Testament and work backwards into the Old Testament you will almost always end up Baptistic. If you argue from the New Testament backwards then you have begun with a wrong hermeneutic. This idea is very important. I had, in reality, neglected it. Point “3” is also very important. The very ideas associated with the ordinance of baptism in the new covenant for me as a Baptist were different than one who believes in Covenantal Theology. This is a result of the manner in which I understood what “covenant” theology is all about. I was in error about my understanding of covenant theology. This again will be addressed in future articles. Point 4 is critical. If you think the New Covenant is coextensive with salvation, you will always wind up Baptistic. This is probably the most serious error in trying to understand the arguments here. Every covenant in the Bible, from Adam forward, included unbelievers. The New Covenant, in this respect, is no different. That is why Christ can promise salvation and damnation in the same breath to those in the New Covenant. (1 Cor. 11, Heb. 6 and 10). Until the Baptist comes to grips with this, there is no way for him to understand Covenant Theology because he radically transforms the nature of God’s covenant when he deals with the New Testament. The substance of the Covenant of Grace changes, which makes the Baptist, inescapably, Dispensational. In my “switch” I realized that as a Baptist I continually and forever argued against secondary notions and not by the basic and key ideas which are foundational for the rest of biblical interpretation. I was arguing about the color of the horse when all along I should have been arguing about the structure of the cart he was pulling. It may be that you as a Baptist, reading this very brief (but important) retraction, cannot believe your eyes or ears (you are shaking your head right in front of your monitor as you read!). You may be even praying for me right now – that I would come to my senses! Maybe you are saying, “Oh what a wretched mistake he is making! What a horrible hermeneutic he has embraced!” Please, do not ever stop praying for me. I always need your prayers. However, certain pieces of the puzzle that always seemed to “puzzle me” have fallen rapidly into a grid locked picture of the grace of covenant theology. I believe they should have been there all along. As a result of all of this, I have reposted my position in many articles. There are many texts to reconsider and fit into their proper places. There are a host of concepts to deal with. I will deal with all the texts that I as a Baptist used to argue over as time goes on. 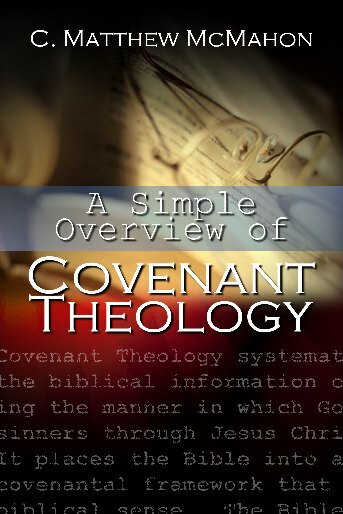 Many are already published, and many of them have been consolidated into a concise book called, “A Simple Overview of Covenant Theology”. (This book is available through Puritan Publications.) I also have much to say in a compendium of articles on covenant theology and the issues surrounding the biblical ideas contained therein, in the Covenant Theology section of this site. For those who had been following my articles on Believer’s baptism as I have posted them pertaining to adults, please understand that the Paedo-Baptist does not discount that adults should be baptized. I still believe that men should repent and be baptized. However, I will now covenantally insist that the seed of the believer should be baptized as well, lest God count them as unclean. There are theological and biblical reasons for this, both exegetically and creedal. I covet your prayers, and deeply regret that I have lead many of you down a long path that excluded some of the most glorious truths of the bible. I publicly ask your forgiveness for my own personal irresponsible exegesis, subtle dispensational thinking and my backwards hermeneutic. I welcome all emails as I always have. One of the tools that helped me study this through were original writings of the Reformation and Puritanism. 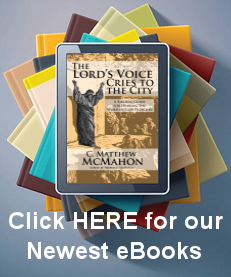 Here is an entire library at your fingertips at Puritan Publications.